HOBART has been named as one of the best cities in the world to visit next year by Lonely Planet. Ranked number seven in the world, it has been described as the hottest Australian destination to visit in the famous travel guidebook's Best in Travel 2013 edition. It’s growing arts culture and foodie scene means it has more to offer tourists than ever before. However, it did warn tourists to prepare for unpleasant weather, with the city having “more than its fair share of wet days and frosty Antarctic winds”. Lonely Planet’s Asia-Pacific Sales & Marketing Director Chris Zeiher said Hobart makes for the perfect weekend away. “Tasmania is really an emerging destinations Australian travellers should consider,” he said. “MONA is the beacon but other things are going on that makes it quite special. 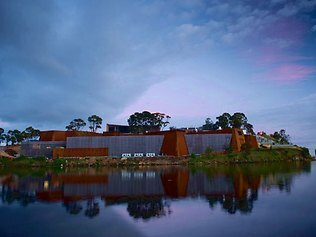 The TMAG (Tasmanian Museum and Art Gallery) is getting a revamp and will be relaunched next year. He said airline seat capacity into Hobart will be boosted next year, making it easier to fly there. CEO of Tourism Tasmania Tony Mayell said the recognition from such an internationally-respected travel publication is a great accolade for Hobart. Managing Director of Tourism Australia Andrew McEvoy said Tasmania has come a long way in recent years. "It's a massive achievement and testament, I believe, to just how far Tasmanian tourism has come in recent years in developing experiences, attractions and events which are unique, distinct and genuinely world class,” he said. Meanwhile earthquake-ravaged Christchurch also made the list as it goes from strength to strength in its rebuilding, with predictions it will be an “intriguing” place to visit next year. “New Zealand’s second-largest city is rising from the rubble created by devastating earthquakes in 2010 and 2011 with a breathtaking mix of spirit, determination and flair,” the travel guidebook says. “Foodies will be surprised by the variety of what is on offer, from Burmese to Turkish to local specialties, live-music venues have popped up all over the place, and innovative artworks fill empty demolition sites. Other unexpected mention on the list include Hyderabad, India, with Lonely Planet describing it as “elegant and blossoming” and undiscovered, and the "groovy" Addis Ababa in Ethiopia. Last year Darwin made the top cities list, with Lonely Planet saying the destination, famous for its monster crocodiles, is also "multicultural, young and energetic".